65 people were shot this summer. Chicago’s long, hot summer of shootings came to an end over the three-day Labor Day weekend, with 65 people shot, 13 fatally, as homicides climbed toward 500 for the year. August was already on record as the city’s deadliest month in more than two decades. The wounded included a young woman, nine months pregnant, shot on the same side street in a southwest neighborhood where someone was killed less than 20 hours before. Among the dead was an 80-year-old retired pastor, shot in front of a South Side senior citizen complex. The shooting of 65 people by a terrorist would probably make international news. In Chicago, it has become a near-weekly occurrence in which most of those who perish do so in anonymity. 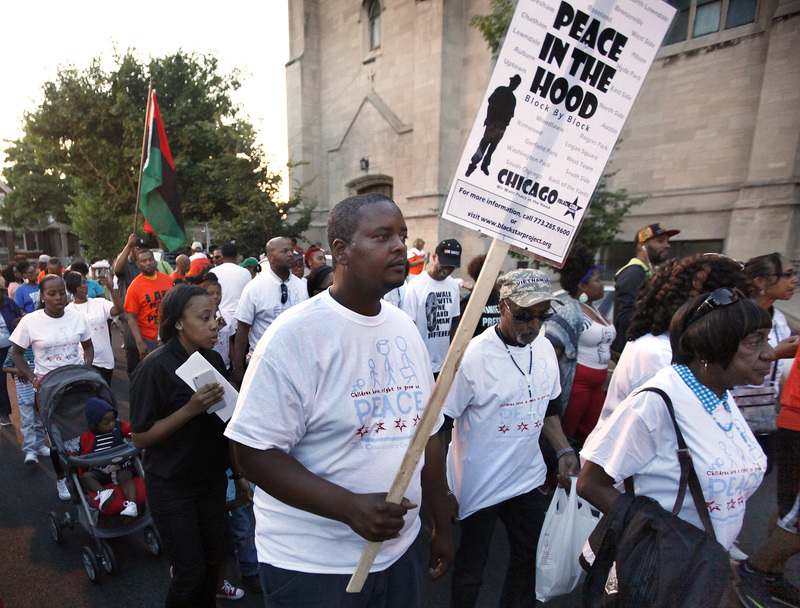 A bitter irony is that most visitors to Chicago—indeed most residents—can remain blissfully detached from the violence. The shootings are concentrated in a handful of police districts in poorer neighborhoods on the city’s South and West Sides. One of the casualties in August was 32-year-old Nykea Aldridge, a cousin of the Chicago Bulls basketball star Dwyane Wade. Aldridge, the mother of four, was caught in a gang-related crossfire and was hit by a stray bullet as she pushed her infant child in a stroller. Police Superintendent Eddie Johnson called the Aldridge shooting “reprehensible,” and Mayor Rahm Emanuel said he will announce major new antiviolence initiatives later in September. But Chicago has been racking up shootings for the better part of a year now, and city officials seem powerless to halt the carnage. It has fallen to grassroots organizers like Bocanegra to try to make a difference. They do so by involving kids in video-making and creative writing, taking them on field trips, pairing them with mentors—anything, Bocanegra said, to show that there is an alternative to guns, drugs and clashes with police. Bocanegra blames a complex web of issues for the spike in violence, fueled in part by increasing mistrust between the police and the African-American community. Tensions have been rising since last fall, when a Chicago police officer was captured on video shooting the teenager Laquan McDonald 16 times. A Justice Department report earlier this year was highly critical of the Chicago Police Department’s treatment of minorities. According to Bocanegra, with their department under a microscope, some officers are less willing to aggressively police neighborhoods overrun by gangs. Bocanegra challenges clergy members to join community leaders and public officials in becoming a more visible presence in communities where violence is a nightly occurrence. Most of the shootings occur between 6 p.m. and 2 a.m., Bocanegra said. This article also appeared in print, under the headline "A Summer of Shootings Ends With Labor Day Toll of 65 Shot, 13 Fatally," in the September 26, 2016 issue.